Use Case: You want to secure DAM content. Current Issue: There is no way to configure CUG OOTB on DAM resource. For this we have to customize the DAM Asset Editors forms. These are stored in a node structure under /libs/dam/content/asseteditors. For the CUG to be properly created, these properties must be set on the protected item’s jcr:content node. By default, the form fields on a DAM Asset Editor form are set on thejcr:content/metadata node, so we need to use a relative path like ../cq:cugEnabled in the form field definition to set the proeprty on the correct node. 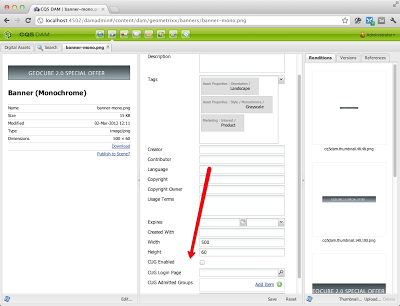 However, when the form is rendered, the data used to populate the form fields will only contain the metadata node. As a result, a custom beforeloadcontent listener must be created. Then we have to add properties for CUG in DAM. This will also need to be run for the generic, PDF, JPEG, and TIFF forms. Go to http://localhost:4502/, log in, and go to the DAM Admin. Open the Asset Editor for an image. 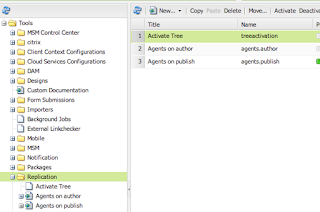 Enable CUG for the asset and at least specify one group. Now you can go to /system/console/cug on your publish instance (e.g. http://localhost:4503/system/console/cug) and see that the CUG was successfully created on the publish instance. * Clear the browser cache and verify. Special Thanks to Justin and Adobe to provide this information. Use Case: You want to publish your code to publish instance. 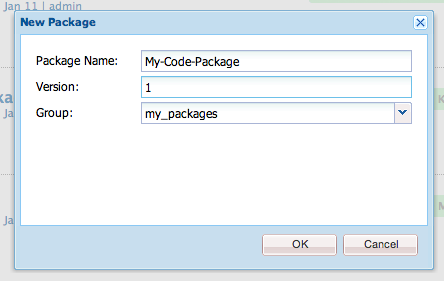 Once package is created, Click on Edit, Click on filter and select filter for your code. Usually it is /apps/<Your code>, /etc/design/<your code>, Some custom code. Then click ok and click on build package. 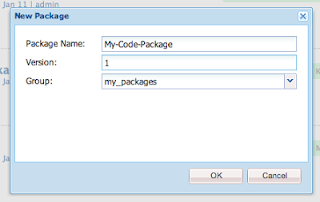 Once package is build you can click on more and then replicate. 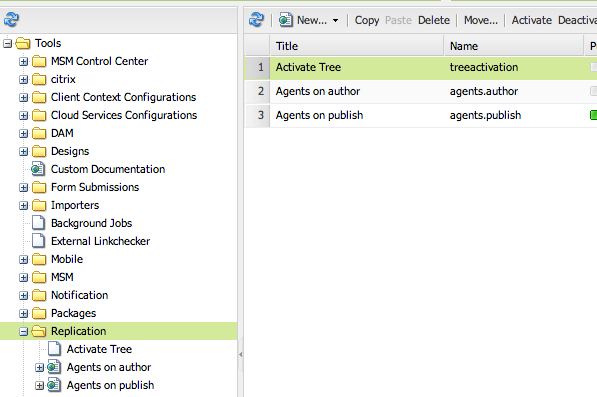 If you don't have replicate option (If you are using CQ version less than 5.5), Then download that package and install it in all publish instance. Version not supported, Hence you can not revert back to previous code. This method will require restart of your CQ instance and usually not recommended. Delay installation till restart. Usually helpful in production deployment. 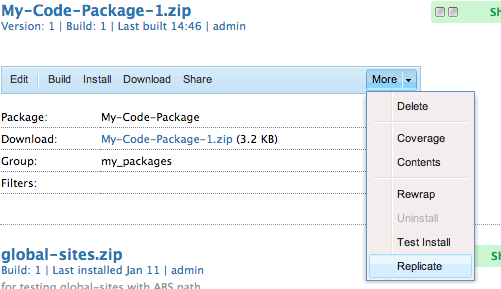 package needs to be kept on each publish instance manually. If you want to do some quick developement in your local then you can use CRXDE to replicate code as well. Useful of you are doing local development and quickly change result of "Single" file in publish. You can use either Maven or Ant or any build system to build and install code to any environment you want. Each project has different requirement, Hence way package deployed is also different. Any suggestion or new way to do this is welcome.